In the 1980s, three young people barely out of their teens began a movement that would change global health forever. 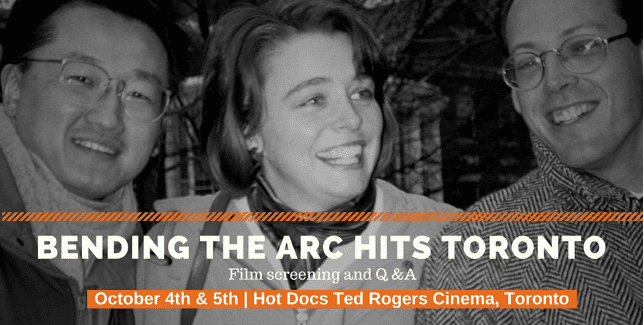 Bending The Arc—a new documentary about Partners In Health that premiered this year at Sundance Film Festival—has been chosen to kick off the 2017-18 Docs Soup season at Hot Docs Ted Rogers Cinema in Toronto. Partners In Health's Dr. Fernet Leandre, featured in the film, and Co-Director Pedro Kos will participate in an audience Q&A after the film. Told through interviews, rare archival material and on-the-ground contemporary footage featuring Dr. Paul Farmer (co-founder of Partners In Health), Dr. Jim Yong Kim (President of the World Bank), and Dr. Agnes Binagwaho (former Health Minister of Rwanda), Bending the Arc is an inspiring story of the fight for health as a human right. To invite friends on Facebook, check out the official event page. For the latest news, reviews, and screenings, visit the Bending the Arc website. Individual tickets, to screenings on both October 5th and October 4th, are available through the Hot Docs Ted Rogers Cinema. Bending the Arc is also available to the public through community screenings. You can sign up to host a screening in your community, or see if one is already scheduled at a theater near you. For those of you in and around Toronto, we look forward to seeing you in October!